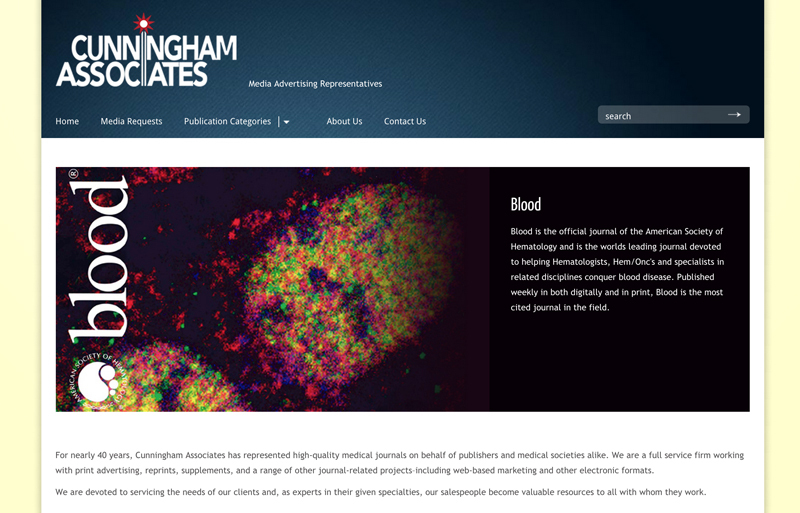 Cunningham Associates envisioned a comprehensive redesigned site to communicate advertising information for represented medical journals. This site features specific information for each publication including downloadable advertising rate cards within a responsive design. The site is database driven, and content is easily editable by Cunningham staff through a content management system. Visit Web Site.